"One of my hugest gripes with last year with the people of this town was that people, mostly white folks, kept saying, 'This isn't Charlottesville,'" said Brenda Brown-Grooms, a local pastor and activist. "I wonder what planet they live on. This is exactly who we are." 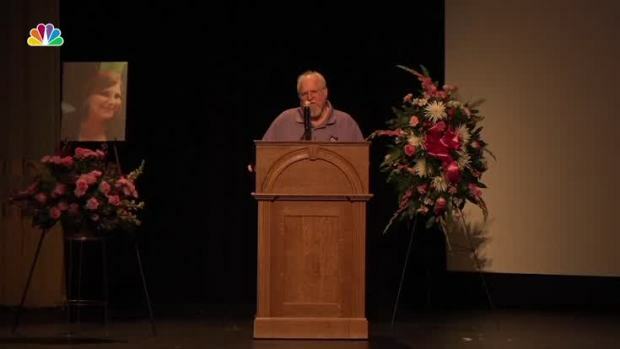 Mark Heyer, the father of Charlottesville victim Heather Heyer, praised his daughter at a public memorial held in her honor Wednesday, Aug. 16, 2017. He noted that the 32-year-old was a fierce advocate for justice and equality, asking people to learn to forgive one another. The event was one of the largest gatherings of white nationalists and far-right extremists in a decade. Many participants dressed as if they were headed to battle, shouted racist slurs and clashed violently with counter-protesters. Meanwhile, authorities largely stood by on the fringes of the action near a downtown park with a statue of Confederate Gen. Robert E. Lee that the city wanted to remove. The crowd was eventually forced to disperse but a car that authorities say was driven by a man fascinated with Adolf Hitler later plowed into a crowd of peaceful counterprotesters. The day's death toll rose to three when a state police helicopter that had been monitoring the event and assisting with the governor's motorcade crashed, killing two troopers. Walker has clashed publicly with other council members on multiple issues, such as hiring an interim city manager. She recently took to social media to criticize the candidate, the way he was selected and her fellow councilors' behavior. The council's drama doesn't seem to affect most residents, who "just go on with our lives and watch with quiet amusement," said Charles "Buddy" Weber, an attorney and longtime resident involved in a lawsuit seeking to stop the city from removing the Lee monument. Weber emphasized that not everyone in Charlottesville agrees on the extent and nature of the city's problems. While the city's been struggling to find its footing, some alt-right leaders are faltering. The rally violence proved a costly debacle for leading figures such as white nationalist Richard Spencer and others who are fighting lawsuits. Many in the movement have been booted from mainstream internet platforms. A few have dropped out altogether. Only one organizer of last summer's rally seems intent on publicly marking the anniversary. Jason Kessler, a Charlottesville resident and UVA graduate, sued the city after it denied him a permit for an anniversary event. Kessler recently abandoned his lawsuit, but he vowed to press ahead with plans for an Aug. 12 rally in Washington, D.C.
During an interview this summer, Kessler said he was still "coming to terms" with what happened last year and said he apologized to Heyer's family. While Kessler's plans for the anniversary weekend have shifted, many residents say they're bracing for some sort of white nationalist presence. Officials and law enforcement authorities insist that whatever happens, they will be better prepared. An investigation by a former U.S. attorney found a lack of planning, poor communication and a passive response by law enforcement added to last year's chaos. Michael Rodi, owner of a downtown restaurant-nightclub, told city and law enforcement officials at a forum for the business community that "if we can make this thing fizzle, the rest of the world looks at us and goes, 'Oh, you're not Nazi Central.'" 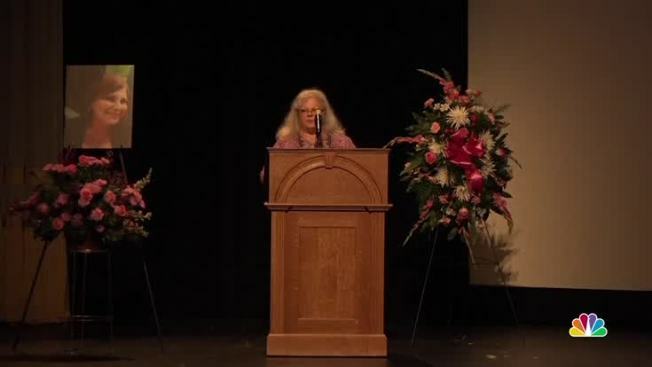 Heyer's mother, Susan Bro, who's spent much of the past year working with Wilson on a foundation named for her daughter, said she plans to place flowers Sunday at the site of the attack that claimed Heyer's life. But the day should be about more than just Heyer, Bro said. "I just would like people to focus on the anniversary, not on Heather, but on the issues that she died for — Black Lives Matter, overpolicing, affordable housing, for more truth and the telling of the history of Charlottesville — and to focus on where they need to go as a community," Bro said. Associated Press writer Michael Kunzelman and AP photographer Steve Helber contributed to this report.